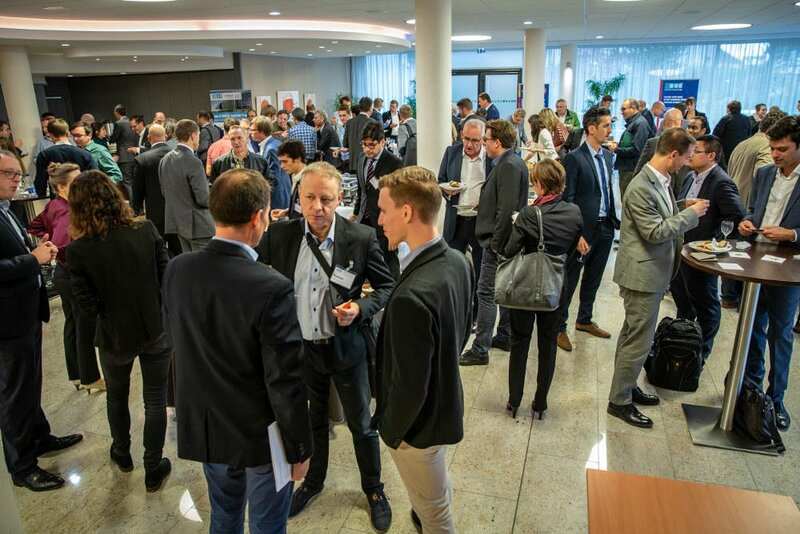 Strasbourg/Pforzheim/Bonn, October 31, 2018: The organizers of the Intersolar/ees event series have taken to the road with IBESA in the first of a series of country-focused summits. Making the case for energy storage opportunities in France, the ees & IBESA Summit France in Strasbourg on October 24 turned out to be a lively affair with some 135 energy professionals attending the one-day event. What new markets are opening up for energy storage right now? What are the main drivers? How does the future of utilities look like? And what are the special situation of the French market and the current needs of the French industry? 20 speakers addressed these and other questions and presented concentrated knowledge about today’s topics of highest interest. Amongst others, Nicolas Poinsot, France Sales Engineer, Energy Storage Solution at Socomec presented its promising evolution of off grid microgrids. Integrating renewable energies and the simultaneous shutdown of diesel generators takes time – energy storage is not necessary from the beginning of this evolution but vital in the last steps. Pablo Ralon, Associate Programme Officer at IRENA showed that a sustainable battery value chain offers opportunities for Europe to lead on many fronts. Key actions for this are local manufacturing, using synergy potentials between renewable energies and electric mobility, as well as the recycling of storage systems. Ralon said that Europe’s power mix which presently consisted of 24% from renewable sources and 76% from others was set to flip to around 85% from renewables by 2050. He stated also that he saw V2G — vehicle to grid — technology as being “hugely important” in the way that the world’s energy mix will balance itself. This was a view that was echoed by other speakers during the summit. IRENA anticipates that by 2050 there will be some 965 million EVs on the world’s roads and 57 million electric buses. Other topics that dominated discussions in this highly useful set of talks and presentations included the latest thinking on virtual power plants and the creation of the so-called digital utility. Eberhard Löffler, Sales Manager at sonnen GmbH announced that future ecosystems will all be decentralized. Perhaps the liveliest discussions came after Christophe Bourgueil, in charge of energy storage business development at Eaton, gave a presentation entitled Building the Case for Behind the Meter Energy Storage. Most of the audience are aware that to date recycling large scale lithium car batteries is a cost rather than a source of revenue, so business cases for second life batteries were of great interest. The French situation is interesting in that the country was one of the first to see the economic advantages of solar+storage when in most parts of the world interest was confined to technical studies and trial projects. In France, however, an immediate application was found for deployment on its overseas territorial departments. As early ago as 2012 solar farm projects were being developed on the Pacific island of Réunion and there was talk of several hundreds of megawatts of electrical storage that would be planned. The first concrete projects including involvement with major players such as Saft emerged the year afterwards. The economic cases for these projects — essentially that solar+storage is far cheaper than the use of diesel to power gensets — turned out better than expected. For a while France was a leader in early experiments of micro-islanding. By contrast, as the summit clearly showed, the growth of renewables+storage was as one of the first speakers pointed out, at best, “stable” in mainland France. The reason for this could be summed up in two words — nuclear power. Some 75% of France’s electrical power comes from its 58 nuclear reactors dotted across the country. The price of electricity is a fraction of what it costs in Germany, for example, making the drive to combining renewables and storage as an expensive alternative. Particularly in the summit’s first session, problems with the insurance of storage installations in France were addressed by the audience and discussed with the experts on stage. Nevertheless, everyone was aware that massive investments in alternative energies are needed in France, to meet the government’s goal of decreasing nuclear energy production to 50% of the electricity mix. This way France already became one of the top 4 European energy storage markets, paving the way for even more storage opportunities and becoming the ideal place for energy storage experts and professionals to meet.